When you're crunching numbers or playing games on your laptop, you've got to keep that notebook cool. Right now, Amazon's got a great deal to keep your laptop from overheating. You can get a six-fan cooling pad for 15.6- and 17-inch gaming laptops for $11.70 with the checkout code ANPALG78. While it obviously works with any compatible laptop, the design of it absolutely screams "gamer." It has six fans with illuminated blue LEDs, playing to today's trend towards colorful lighting. 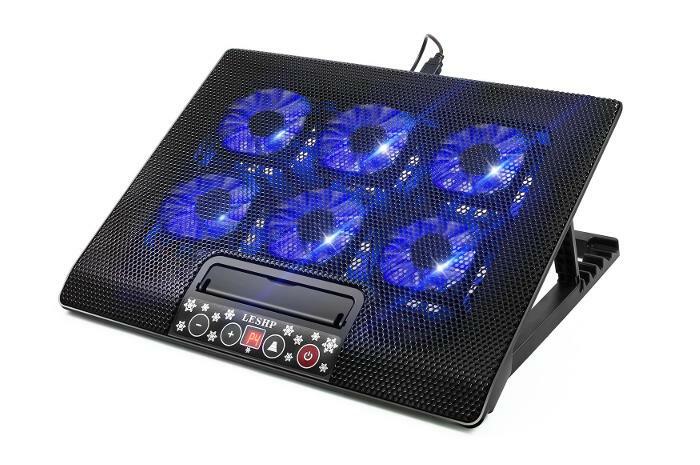 The cooling pad has an adjustable stand with six different levels, and you can control how many fans are running at once: two, four, or six. There are two USB ports for connecting peripherals as well. This pad is from a third-party retailer called Kingpeony, but it's fulfilled by Amazon, meaning if you have any problems it falls under Amazon's customer service policies. It also comes with an 18-month warranty. We haven't tested this cooling pad, but based on the specs it could do with a few more USB ports. Still, for under $12 it's a great buy.